There is no denying that when it comes to talking about indigenous Australians and issues relating to them, people tend to trend carefully. The racism card is stacked highly against people who speak out in regards to the socio-economic issues, alcoholism and violence that is prevalent, despite the evidence that has been made available. 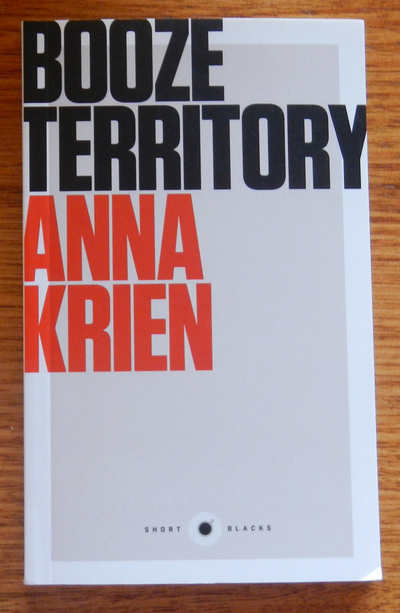 Perhaps because of this, award-winning author Anna Krien has decided to take a clear-eyed look at some of the issues surrounding the problems of Aboriginal binge-drinking, and, as a result, has written this informative and insightful essay titled Booze Territory in which she details her findings. As a young, white woman, Krien is already out of her element as she traverses the small outback communities of Central and Northern Australia, visiting bars and hotels in an effort to work out the who, what and why of Indigenous binge-drinkers. Interviewing with publicans, counselors, community leaders, representatives from alcohol companies and some of the locals (both sober and not), Krien tries to establish the cause of this drinking epidemic, and investigates the increasingly difficult balance that comes from the situation. As one interviewee sadly suggests, if you try and stop the drinking problem, then that makes you a racist who is trying to take away the rights of the people. If you don’t try and stop the problem, then that makes you a racist, because then you’re hoping that they will end up dying from cirrhosis of the liver or alcohol-fueled violence. All of this unfortunately points to the lose-lose aspect of the situation for people who want to make a difference. Krien also talks about some of the measures that have been put in place to try and curb the problem, including prohibition, limiting the amount of takeaway beverages, increasing alcohol prices, and changing the opening hours of licensed venues- all with little effect. This is a problem that shouldn’t be ignored, yet not much is being done about it, and Krien demands to know why. Her essay is powerful from the very beginning- her Alice Springs adventure starts on a Tuesday morning, at a 10 am drinking session at a bar. This bar is protected by a security guard who waves a metal detector over her and confiscates her pens (which could potentially be used as weapons). This opening imagery strongly highlights the problem and makes readers question what’s going on in our own backyards. Unfortunately, this theme runs throughout the whole book, without much of a solution in sight. This isn’t a question of racism, or an attack on social rights. It’s a stimulating look at what must be done to ensure that our indigenous people have a chance at a long and happy life, free from the violence and disease that comes from excessive alcoholism. 2nd line........'tend to trend carefully'? A problem that'll NEVER go away, no matter what the 'whiteys' do, as aboriginals' not interested in rehabilitation.